(October 10, 2016) Join the Party under the Tent at Winget Farm on Saturday, October 29. All proceeds support the teachers and students of Olympic High School through the Olympic High School Foundation, whose mission is to attract, train, and retain excellent teachers by developing and supporting initiatives and programs that promote professional development, improve the educational environment, and provide resources to support teachers and students. 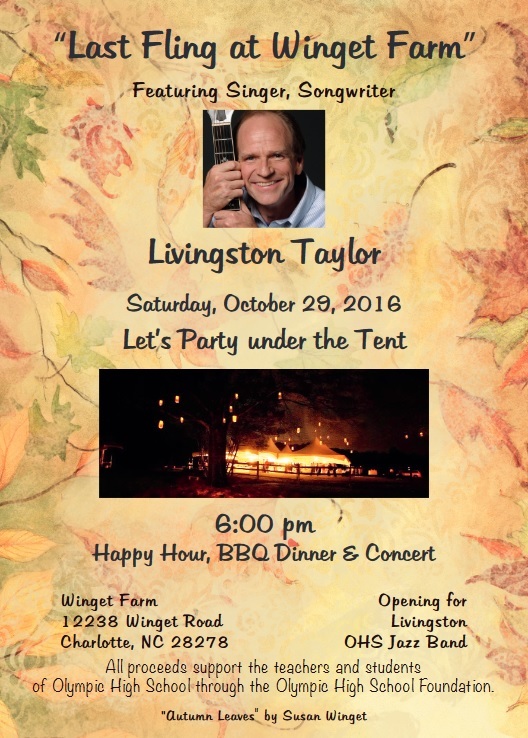 Singer Livingston Taylor will perform. Opening for Livingston is the Olympic High School Jazz Band. Livingston Taylor’s career as a professional musician has spanned over thirty years. He maintains a performance schedule of more than a hundred shows a year, delighting audiences with his unique brand of popular music which includes mostly original repertory from his thirteen albums. In addition to his performance schedule, Livingston is a full-time professor at Berklee College of Music, passing on the extensive knowledge gained from his long career on the road to the next generation of musicians. Livingston is the brother of singer-songwriter James Taylor. 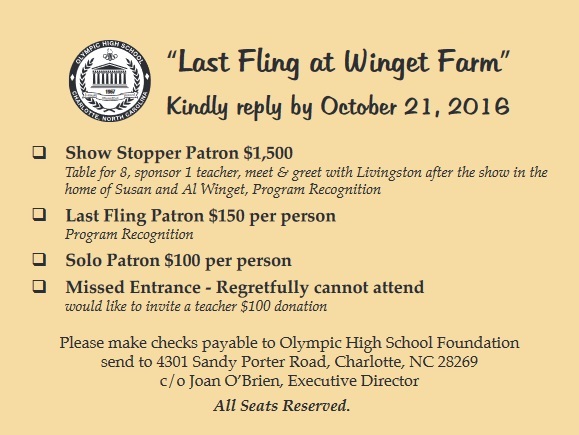 The event is called "Last Fling at Winget Farm," because the Winget Family has sold the farm to the Mecklenburg County Park and Recreation Department, which plans to turn it into a nature preserve, possibly with a demonstration farm. 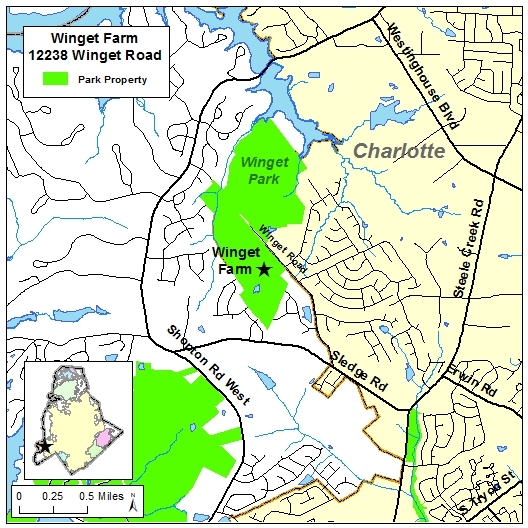 Winget Farm is located on Winget Road across from Winget Park Elementary School.